The park includes a playground with unique features, a zip line, outdoor basketball court and walking track. Still to come is a picnic pavilion and restrooms. The park is located at the Blythe Family Support Center at 1075 Blythe Avenue S.E. The former city school building that now houses multiple agencies that offer support services for children, families and individuals. Hundreds of families came out for a picnic of hot dogs, hamburgers and barbecue while children tried out the play equipment and the basketball court. 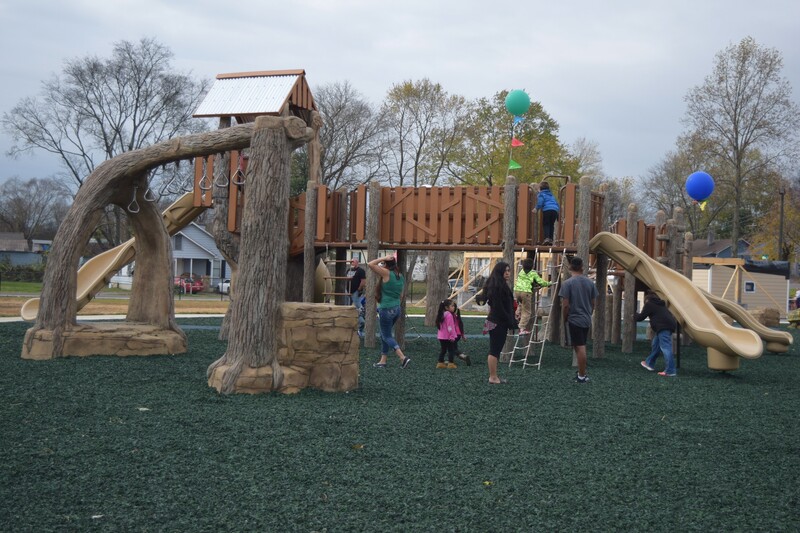 The Blythe Oldfield Community Association, United Way’s Impact Cleveland, the City of Cleveland, Cleveland Utilities, the Johnson Family Foundation and others took part in the park’s development. 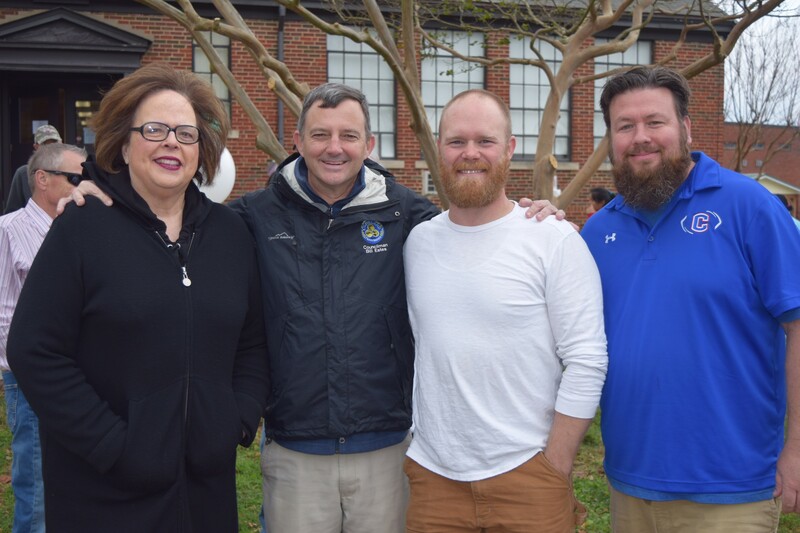 Saturday’s picnic also celebrated the completion of TVA’s Extreme Energy Makeover project. 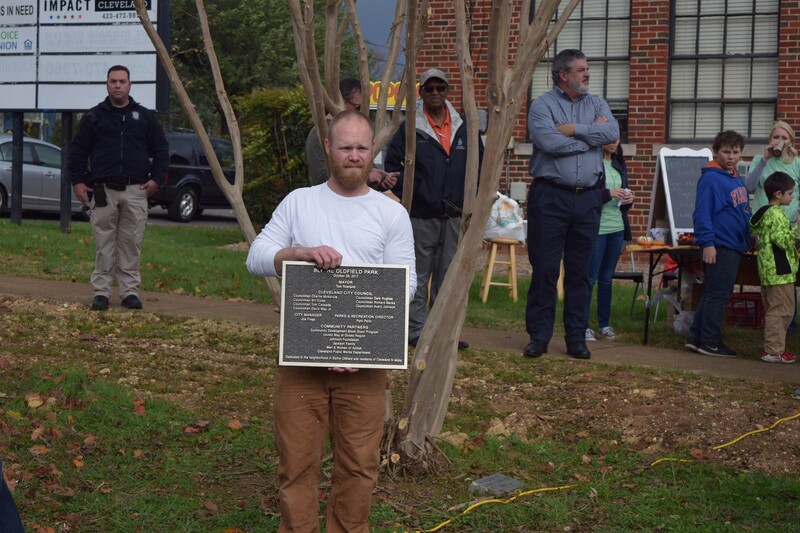 Over a two-year period, TVA’s $3.5 million Extreme Energy Makeover Grant involved 413 homes as needed, the project installed or repaired HVAC systems, installed insulation, replaced and sealed windows and provided other energy saving measures. According to TVA statistics shared on signs at the picnic, 2.2 million kilowatt hours have been saved so far. The average energy savings is $525 per home. The average energy reduction has been 35 percent per home. The project not only saves energy but reduces financial stress on families, city officials said. Impact Cleveland aims to boost home ownership in the Blythe Oldfield Community over the next five years with a $500,000 grant from Neighbor Works America. The plan calls for building or renovating as many as 47 affordable homes.